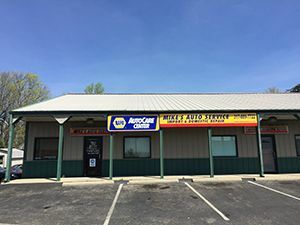 Get the most competitive deal for Lexus service and repair in Greenwood, Indiana when you call Mike’s Auto Service.No matter how new or old, Lexus cars, sedans, trucks, and SUV’s require routine service and preventative maintenance in order to promote optimal performance levels and support a long life. Our NAPA® authorized auto care center is fully-equipped to provide first-class repairs for all model Lexus’s at the most competitive prices in town. We use all NAPA® and OEM auto parts to ensure your Lexus RX or Lexus SUV runs safely and smoothly after you leave our shop. Don’t overpay a dealership for Lexus repair when you can bring your car to us for a fraction of the cost! Our training, experience, and proficiency as certified mechanics makes us a preferred choice for Lexus repair in Greenwood, IN. We use a concentrated inspection and diagnostics process that allows us to fix the problem correctly the first time, every time. You can rest assure knowing that your Lexus is being serviced and repaired by a team of highly trained and qualified professionals. We take automotive repair seriously, and never cut corners to make a quicker dollar. As a family owned and operated business, we strongly believe in integrity and work ethic, which is why we always practice honest and accurate Lexus repair service. Call 317-889-7722 and make an appointment today.